Counter-case against victim’s family rejected. LAHORE, Pakistan (Morning Star News) – More than six months after doctors and hospital staff members killed a Christian at a government hospital in Lahore, Pakistan, none of the suspects has been arrested, the victim’s brother said. 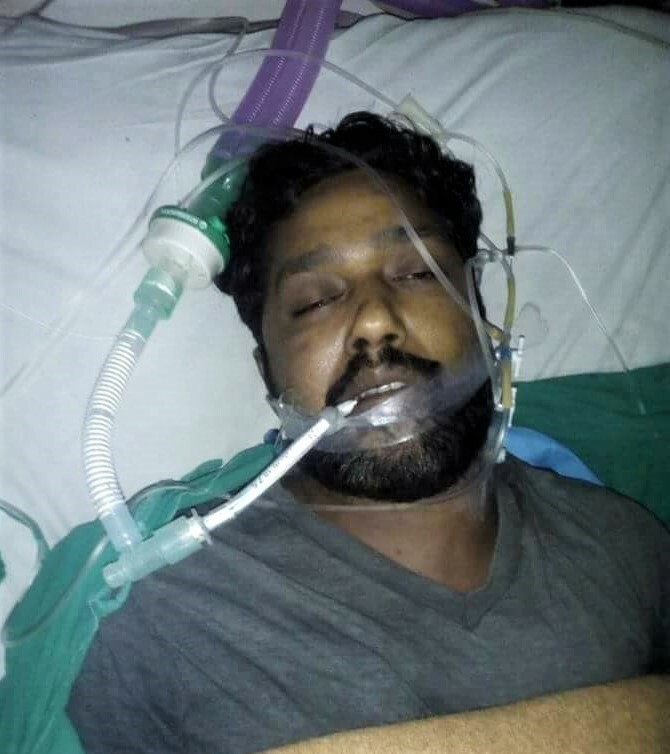 Anil Saleem, brother of Sunil Saleem, told Morning Star News that police efforts have been lax in the Catholic family’s quest for justice for the father of four, beaten by doctors and security guards at Lahore’s Services Hospital on March 26 after objecting to a doctor’s refusal to tend to his sister as she suffered labor pains. Police registered a case against 14 doctors, 20 security guards and 10 male nurses but none has been arrested, he said. “Moreover, the police exonerated the main accused, Dr. Saira, in the initial investigation, even though she was the one who had instigated her colleagues and the security guards to attack us in the hospital ward,” Anil Saleem said. Though police rejected a counter-case filed against the family by the hospital’s administrator, officials have been reluctant to move against the medical personnel due to threats by the Young Doctors Association (YDA) to launch protests in hospitals across the province and leave their duties as part of a boycott, he said. “We think that the police were told by the provincial government not to arrest the doctors to avoid confrontation with the YDA,” Anil Saleem told Morning Star News, adding that all of the accused had been able to secure anticipatory bail and never even appeared before police for questioning. Asked if the named suspects had approached them for an out-of-court settlement, Anil Saleem said they had offered the family money. The accused and their supporters have not threatened or pressured the family to settle, he said, noting that a trial court is hearing the case. A postmortem report stated the cause of death as multiple rib fractures, which led to haemopneumothorax, or air and blood in the chest cavity. The report revealed at least two liters of blood in Sunil Saleem’s chest cavity, indicating how brutally he was beaten, his brother said. Sunil Saleem on March 26 took his sister Kiran Kashif to the emergency labor ward of the Government Services Institute of Medical Sciences (commonly known as Services Hospital), but Dr. Saira would not tend to her as she was playing on her cell phone and sipping tea, Anil Saleem said. Dr. Saira told her to wait outside until she finished her tea, and after waiting for some time while she was in severe pain, the pregnant woman again went into the ward requesting immediate attention. As soon she approached Dr. Saira, the doctor started cursing her for not waiting and told a nurse to attend her, he said. When his sister protested, Dr. Saira started slapping her, throwing her on the floor, asking her “how dare a Chuhri [a derogatory term for Christians] question her order,” Anil Saleem said. On hearing the commotion, Anil Saleem, his brother and other relatives entered the ward, but as soon as she saw them, Dr. Saira shouted to the other doctors and security guards to lock the ward’s doors from the inside and “teach these Christians a lesson,” Anil Saleem said. Some 15 to 20 paramedical staff and security guards and eight to 10 young doctors lunged at them with iron rods, chairs, leather belts and other items and began beating them, he said. “Sunil, a police constable in the National Highway and Motorway Police, tried his best to placate the assailants, but they continued to beat him mercilessly, kicking and punching him in the groin and chest until he fell unconscious,” he said. “Most of the doctors fled after the incident, while those who were present paid no attention to our cries to help our dying brother,” Anil Saleem said. Sunil Saleem left behind his wife and four children – the eldest son 10, and the youngest barely 3 months old. Investigating officer Khurram Ali Shah was unavailable for comment. Police declared Dr. Saira innocent on the basis of CCTV footage that shows she was not involved in the altercation between the family and medical staff members, he said. Despite police indifference, he still hopes the court will give justice to the family, he said. There are many things manufactured in Pakistan sold here in the u.s. Why is there no call for a boycott a Pakistani Goods until they stop persecuting Christians and other minorities.